A little-known clause in Ontario‘s wildlife regulations has resulted in a Toronto man being fined $4,500 for possessing an unusually large quantity of fish. The 51-year-old man was charged with having 53 rainbow trout over the limit last spring by Manitouwadge game wardens, even though the fish had been caught near Medicine Hat, Alta. Ontario wardens were able to lay the charge because of Section 51 of the province‘s Fish and Wildlife Conservation Act, which gives them jurisdiction over fish or wildlife caught illegally in another province. 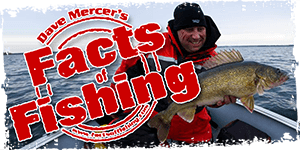 As it happens, the maximum number of rainbow trout anglers in Alberta and Ontario can possess at one time is the same in both provinces – five. Ontario game wardens were called last April after police stopped a man on Highway 17 near Marathon for a traffic violation, the Ministry of Natural Resources said in a news release. Many of the fish found in two coolers had already spoiled, investigators said. The man, who pleaded guilty last week in Thunder Bay court, also lost his fishing licence for a year. ....I think they should have charged him for this offence as well! Yeah, he'll feel that one! Good judgement, maybe they shoulda charged $5300?